Pinnacle Healthcare Consulting is looking to add a manager to our growing business valuation practice. Our practice has doubled within the last year and we need an experienced professional to help manage projects. The position is also great for someone looking to grow as a leading expert in the area of healthcare valuation and as a manager, you will have direct access to clients and lead educational sessions for health systems nationally allowing you to grow your own practice. Message me offline if you are interested. Position can be remote, so location is not a factor. Pinnacle Healthcare Consulting is excited to be a sponsor at HCCA’s regional conference on 11/18 in Nashville, TN. Please reach out to Allison Carty and Bobby Stamper to learn more about Pinnacle Healthcare Consulting. Pinnacle Healthcare Consulting and Pinnacle Healthcare Insurance Advisors are excited to be sponsors at Illinois Association of Healthcare Attorneys – 34th Annual Health Law Symposium on 11/10 at Navy Pier, Chicago. Please reach out to Curtis Bernstein and Chris Fete to learn more about Pinnacle Healthcare Consulting and Mike Reis regarding Pinnacle Healthcare Insurance Advisors. Pinnacle Healthcare Consulting and Assistive Coding are excited to be exhibiting at HCCA’s Denver Regional Conference on 10/21 at Denver Marriott South. Please reach out to Drew Hoffman or Helen Avery to learn more about Pinnacle Healthcare Consulting and Assistive Coding. Pinnacle Healthcare Consulting is excited to be sponsoring the Tennessee Bar Association’s 28th Annual Health Law Forum. Please reach out to Curtis Bernstein or Bobby Stamper at the meeting to learn more about Pinnacle Healthcare Consulting (303-801-0111). Pinnacle Healthcare Consulting, Assistive Coding, and Pinnacle Healthcare Insurance Advisors will be exhibiting and speaking at HCCA on October 23-25th (Phoenix). Please stop by our booth to meet our team members! 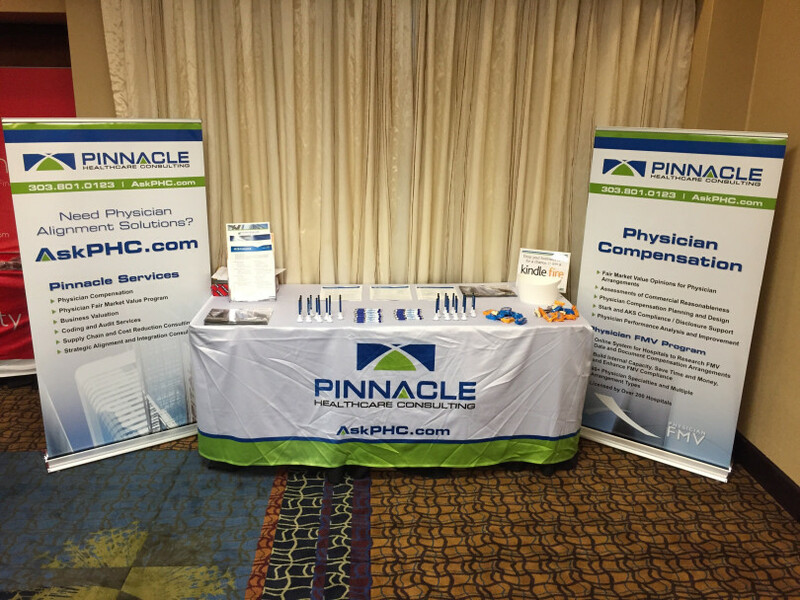 Pinnacle Healthcare Consulting is exhibiting today at the HCCA Regional Conference in Kansas City. Stop by our booth to meet our team members and to learn more about Pinnacle Healthcare Consulting.